A Callie Morgan and Carolina Slade crossover, standalone mystery! 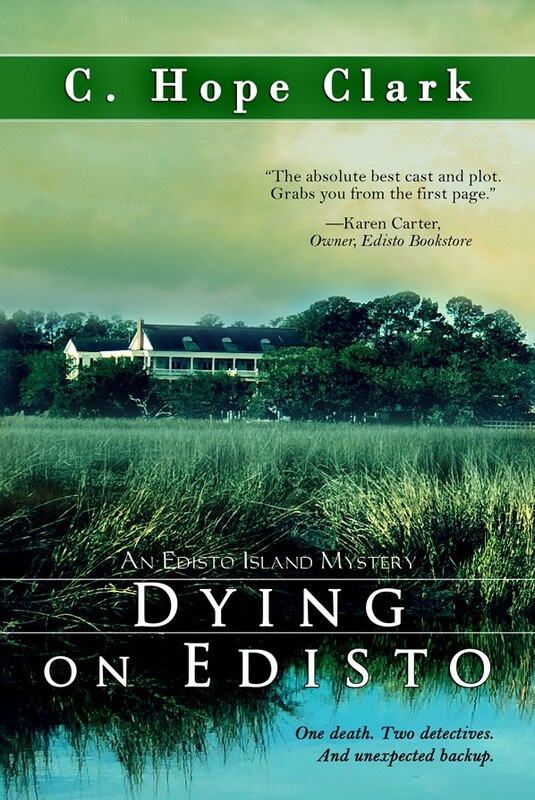 When a renowned—and now dead—travel blogger washes ashore on the banks of Indigo Plantation, Edisto Beach Police Chief Callie Morgan agrees to head the investigation as a favor to the county sheriff, whose reasons are as questionable as the death itself. When death turns to murder and a watchdog from the county makes her investigation difficult, Callie reluctantly turns to Carolina Slade and Wayne Largo, vacationing agents with the Department of Agriculture. Because poison is growing on this plantation and someone knows how to use it well. 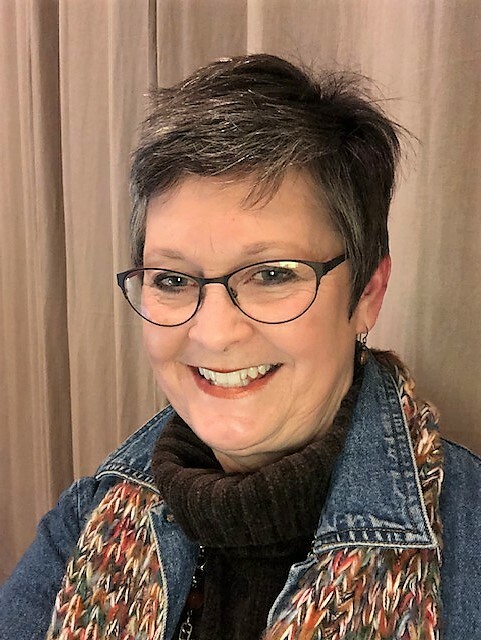 Here at Blogging by the Sea we are big fans of the Edisto series and the Carolina Slade mysteries, so we are excited to have both Chief Callie Morgan from Edisto Island and Carolina Slade with us today. One lady has a badge and the other doesn’t but somehow they both manage to find themselves up to their shoulders in mystery and dead bodies- always when they least expect it. If you’ve enjoyed their escapades join me in welcoming them. SKYE: Chief Morgan, I understand you grew up in South Carolina and spent much of your time on Edisto in the beach house you now call home. How did you end up working as a cop on the Boston PD in New England? CALLIE: Youthful defiance maybe? My father was a politician, my mother a social gadfly in a town where everyone knew my family’s business. I wanted none of that life. But I guess public service was in my blood, because I earned a Criminal Justice degree from the University of South Carolina. That’s where I met my husband John Morgan, and I followed him back to his hometown of Boston, where nobody would know my name. He was a US Marshall. I worked for Boston PD, ultimately becoming a detective. SKYE: Do you miss the hustle and pace of both life and work in a city like Boston? By contrast Edisto must seem pretty laid back and quiet. CALLIE: In some ways I do. Places to eat, lots of interesting people, the Red Sox (though Boston doesn’t do football like the South, that’s for sure), but I don’t miss the crime rate. At the time I lived there, I enjoyed the busy-ness of it all, and my job kept me hopping overtime most days. But the seedy underside of that city killed my husband, which soured my desire to remain there. Everything I liked is now tainted. Long story, but I was a mess when I left there with a teenager in tow. 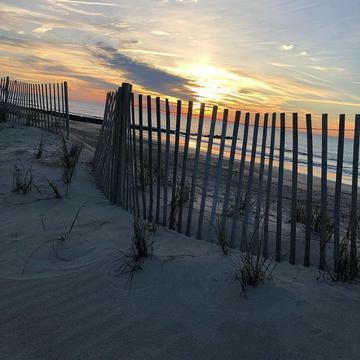 My father forced me to Edisto in his subtle way, telling me to get my head on straight. He knew what he was doing. That sand and water are a part of me now. Do I use all my training? No. But I do catch things earlier than the force used to, because of my past in Boston. Guess I have the best of both worlds in me now. SKYE: Ms. Slade, until recently I think the two of you had not met. Certainly, your line of work would not normally cross paths with the police chief on Edisto Island. How did you get involved in the work you do? And how is it, you seem to trip over mysteries no one else ever suspects? SLADE: My grandparents operated a cotton farm in Mississippi, and I loved visiting them each summer. Later I gravitated to Clemson (Go Tigers! National Championship 2001, 2016, and 2018!) and got a degree in agriculture. Of course, that meant USDA employment. But it wasn’t until a farmer offered me a bribe did I get a taste of investigations. Like Callie, I have a long story, but mine was about solving an investigation without losing my job, my life, heck, even my kids got kidnapped. When I nailed that case I was hooked, and Agriculture created a job for me to investigate all the time. Bummer! LOL Trip over mysteries, you say? LOL again. Guess you could call it that. After my indoctrination into the world of federal agents and the criminal element, I don’t trust so easily anymore. I see things, maybe ponder stuff deeper. Hell, I don’t know. My partner Wayne is a federal agent, and he can’t put a finger on it either. (Callie laughing.) I come out okay in the end, which I hope is a long-time habit. The alternative might be a little scary, so guess I like to think I’ll always win. Makes me misstep at times, but I land on my feet because I give myself no other option. SKYE: Ms. Slade, I’m curious – I never thought much about the Department of Agriculture or what it does, but I’d never have guessed it would present that kind of danger. The kind that would get your kids kidnapped. You must have been terrified, never mind what they went through. I hope they’ve adjusted and are doing okay now. But tell me, what kinds of things do you investigate? SLADE: If I had a dime for every time somebody said that about Ag. Listen. Agriculture at the federal level doles out a ton of bucks. As much as VA. More than Education and Transportation. Wherever there’s money, there’s crime, and if you don’t understand the rural community, you don’t know how to spot the scams. I can spot things my agent friend Wayne never thought of. Farmers faking what they bought with loans. Taking government subsidies and using them for personal use. . . cars, vacation, or if you want to really get funky with it, drugs, bootleg items, firearms, and equity scams. Money’s money, honey, and it attracts such wicked people. SKYE: As I mentioned earlier, your worlds are very different: Different place, different job. How did you two ladies meet? CALLIE: Oh Lord, that’s a story. SLADE: (Arms up to the side, shrugging.) Hey, I just went on vacation with Wayne. Just happened that we chose Edisto Island. I grew up an hour away, and used to go to that beach as a kid. SLADE: Laugh all you want. I found the body. CALLIE: You didn’t find anything. You stumbled, then stumbled again. Destroyed that crime scene to smithereens. SLADE: We solved the case, didn’t we? CALLIE: (Smiling at her friend.) That we did. SKYE: Is there anything either of you ladies would like your fans to know about your newest adventure? SLADE: Well, it turned into the weirdest vacation I ever had. I decided I don’t want to live within ten miles of salt water and will never go in a boat again. CALLIE: And I learned there’s stuff that’ll kill you in the woods, thanks to this lady who gets off on all things green. An agriculture investigator. Who’d have thought? I mean, what kind of law is broken with farmers? SLADE: Way more than you know, girl. The country isn’t just populated with dumb farmers in straw hats like everyone thinks. So I earned some respect, huh? Me and my plant knowledge? CALLIE: You did, Slade. Opened my eyes big time. SLADE: And I wondered what the hell (excuse my French) the beach police does more than stop golf carts and deal with drunks. Guess there are some skills there, too. SKYE: Are there things going on in your lives that never gets mentioned in any of the stories that you’d like to share? SLADE: What else is there? My world is an open book. Just ask anyone who knows me. CALLIE: And my life is on a need to know basis. What you don’t learn in the stories doesn’t need to be said. SLADE: (Watching Callie introspectively.) I still need to get you to loosen up some more, girl. SKYE: I want to thank you both for taking time out of your busy lives to talk to us today. We can all hope that you both have a peaceful summer without any dead bodies showing up or farmers getting up to mischief. But I have to admit that I am looking forward to your next adventure, whatever it might be, or wherever it might take you. Thank you Callie and Slade for joining us today. Having read and very much enjoyed both the Carolina Slade and Edisto series, I was eager to see where Ms. Clark would go when these two very different ladies met and I was not disappointed. Her use of point of view to see Callie Jean Morgan through the eyes of Carolina Slade and vice versa added spice to the story as we got to see both women in very different ways than we had before in their individual series. The story itself was well plotted and full of twists and turns with an ending I never saw coming. It was also fun to see Wayne, Slade’s “Lawman” as people other than Slade see him. He’s such an interesting character and we got to see more of his personality, and charm in Dying on Edisto. Every pivotal character in this story was so well drawn and interesting I felt like I was on the case with Callie and Slade and I didn’t want to put the book down. Snap this book up as soon as it is out and you won’t be disappointed. Skye Taylor, Author of the Camerons of Tide's Way series. "In a plot as complicated as the numerous waterways that create Edisto Island in South Carolina, C. Hope Clark has combined the characters from her two series to solve the murder of a renowned travel blogger. They mystery requires all of their detective skills and blends the two mystery worlds in a page-turning standalone. The story opens with a floater and progresses with edge-of-your-seat action. Prepare to be absorbed by Clark's crisp writing and compelling storytelling. This is one you don't want to miss!" --- Carolyn Haines is the USA Today bestselling author of three mystery series. She is the author of over 80 books and has received numerous writing awards. Fun interview, Skye. The book sounds like fun, too. I'll add it to my list! This interview does a remarkable job of showing the characters of these two series. Thanks, Skye, for doing this. These two protagonists stepped up nicely to the questions, I think.